How much email marketing is too much? The chances are that you get more than 100 emails a day; indeed you may get 200 or more. The average inbox has 150 fresh emails every single day; that’s 54,750 emails a year. And that’s before you count the spam you didn’t see because it was filtered out before you got it. If you printed out your emails the stack of paper would be around 10 metres high. So why on earth would you think it is a good idea to add to that pile of paper by sending out an endless stream of email marketing messages to your customers and potential customers? Surely it will just annoy them? At best they simply will not see it because it is surrounded by wave after wave of noise in the sea of emails we are drowning in. The data, though, tells us something different to our first thoughts about email. Email marketing produces higher profits than straight web marketing, for instance. It produces a higher conversion rate too – when it is done well, that is. Plus email marketing has a low unsubscribe rate at only around 2%. Whichever way you dice the data on email marketing it confounds our criticisms of assumption. Email marketing works; pure and simple. But the question remains – why? How does email marketing work so well when people are surrounded by so many messages? The answer is in a very straightforward piece of essential psychology. It’s all about love. We are each of us desperate to be loved. We need people to recognise us, to appreciate us, to show us they want us. It is what drives much of our day-to-day behaviour – we do things that ensure we get people saying things like “well done” or “that was nice of you” or even “I love you”. Doing things to lead to this positive affirmation of our worth is fundamental to our existence. And that extends into the world of email. When a company keeps emailing you – assuming they are doing it right by tapping into what you like – then you feel as though they like you; you feel loved. Even if you do not open the email, even if all you see is that they have sent you another message, it triggers that positive self-affirmation that you are liked. And when they stop sending you emails you don’t usually say “thank goodness”, your usual reaction is going to be of the “what have I done to upset them” variety. Think of a couple in a loving relationship and then think of that relationship going sour. What do the partners often say as to why the relationship broke down? Relationship counsellors will tell you if you don’t know, but a common theme is in the form of “he stopped telling me he loved me”. So your clients and potential clients are in the same kind of situation. 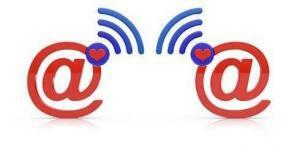 If you stop showing them you love them by reducing your number of emails they end up feeling as though they have done something wrong and that you no longer want their custom. The frequency of keeping in touch with your customers and letting them know you still want them is important. Far from sending fewer emails, most businesses should send more. But wait a minute, I hear you cry; some companies DO annoy us with their constant emails. And yes, that is true. But ask relationship counsellors what they also frequently hear from couples. It goes something like this: “she just keeps nagging me”. And that’s how we feel when we get those annoying emails from businesses. They feel like they are nagging us, they annoy us even if the frequency is relatively low. What’s “nagging”? Well that is constantly talking to you about things you are not interested in. And that’s where much email marketing goes wrong. The businesses that send us messages that are not relevant are the ones that annoy us, especially if they frequently send us such tosh. But the companies who send us stuff that is personally directed, which is about our interests do not annoy us even if they send us emails constantly. That’s because they are merely demonstrating they love us. You can only send out too much email marketing if you don’t demonstrate you love your customers by constantly sending out irrelevant and poorly focused information. But if you frequently send highly personalised emails that are specifically focused on individual customers you will find they love you because you clearly love them. And that means they cannot get enough of your emails. Every Monday morning at 11am you will get all of my blog posts from the previous week delivered to your email inbox. "Five Psychological Factors that will Boost Your Website"
By clicking the subscribe button you confirm that you are happy for your personal details to be stored and used to send you the material you have requested. You can unsubscribe at any time. A link is provided in each email. When you are utilizing email marketing, it is very essential for you to observe how many emails you are sending to how many people. Actually, you should pay attention by limiting number of emails to ensure you are not spamming. I am a psychologist who specialises in Internet use and behaviour. I can help your business profit through a better understanding of the online behaviour of your customers and potential clients. Discover how your business can use the power of psychology to sell more online. With my series of half-day internet psychology workshops you'll find out just how you can make more money online, no matter what size or type of business you run. There are workshops on marketing, sales, pricing and content strategy. You can also have workshops designed specifically for your needs. Get yourself coached to make more money online. Using my telephone coaching service for online business owners you can discover how to use the power of psychology to improve your online business and understand the behaviour of your web customers so you can sell more. Click Here for full details. Affiliate Links: Some of the links in this website are affiliate links providing me with a small commission when you purchase an item. I only use affiliate links for products which I personally value. Amazon: I am a participant in the Amazon EU Associates Programme, an affiliate advertising programme designed to provide a means for sites to earn advertising fees by advertising and linking to Amazon. Images: Images from Amazon, Canva, Fotolia, Free Digital Photos, FreeStockPhotos, Geograph, Pixabay, PxHere, StoryBlocks, product suppliers or my own collection. Sign up for my weekly newsletter which arrives every Saturday morning at 10 am and get my FREE BOOKLET, “Five Psychological Factors That Will Boost Your Website”. By clicking the subscribe button you confirm that you are happy for your personal details to be stored and used to send you the material you have requested. You can unsubscribe at any time.